Your Franchise System or Program Assisted by Franchise Cloud Solutions. Software Systems that Work! A few years ago, you were still a budding entrepreneur. Like many other businesses, yours started with a “crazy idea”. You saw the opportunities when they presented themselves and put your ideas into concrete form. Now your business is thriving, and you’ve made your first steps to expand. Franchising was the right solution for you; you have no doubts about this. However, more locations and franchisees involve more complex tasks. Quick and clear communication becomes mandatory. You get the feeling that you should know everything, be everywhere at the same time and always be able to produce any important business data like a magician, with a snap of the fingers. You started small and used a suite of other tools as your franchise administration system, but it rapidly becomes clear that this won’t do anymore. You’ve searched the Internet for franchise systems, but they seem either expensive, complicated, or insufficient. Who built them anyway? What do technology companies know about franchising? At Franchise Cloud Solutions, we offer an end-to-end cloud-based franchise software solution to meet all your needs, built by franchisors for franchisors. 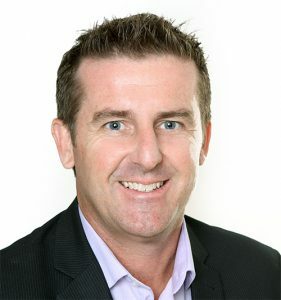 Through Brendan Green, the CEO of franchisor Hire A Hubby, we have acquired more than 20 years of experience in franchising. We are an official Salesforce consulting partner, so you can rest assured that we possess all the necessary technical know-how to make your franchise program work. Even if your company is still small, you may find us of invaluable worth. We’ll be by your side at every stage of your business, from the recruitment of franchisees, to job management, to customer satisfaction. Are you battling endless data issues? Do you have data on multiple spreadsheets, saved on your hard drive, with so many versions that you’re tempted to start everything anew? Are you finding it difficult to process and report on that data? Centralising all your data in one cloud location in an efficient franchise program with enhanced reporting capability is the solution. Wherever you are, no matter what time of the day, with our cloud-based franchise solution, you’ll have access to all the data you require. All you need is a laptop computer or tablet with mobile internet access or Wi-Fi. To further explore how our franchise system can assist your business, submit an online enquiry or give our team a call on 1800 227 881.